We found 188 properties on the market matching your criteria. Come See This Lovely 3rd Floor, 1 Bedroom Plus Cozy Den/Office Condo.  This Well Maintained Condo Building Is In A Highly Desirable Neighbourhood. Fresh Paint & Move In Ready! Open Concept Is Great For Entertaining, The Unit Has A Walk-Out To A Spacious Balcony With Extra Storage Space. Minutes To Major Highways (Qew & 407), Go Train, Restaurants/Shopping/Schools. Exercise & Party Room Available. One Parking Space, One Locker And Lots Of Visitor Parking. Location Matters! What A Piece Of Land To Build A Dream Home. Huge Back Lot, Awesome Back View Of Trees And Pond. Perfect For Renovator And Builders To Convert This House Into A Master Piece. One Of The Largest Park And Botanical Garden Few Steps Away From The Property. Don't Miss This Opportunity To See It. Fantastic Deal In This Low Price At A Prime Location Of Burlington. Near To Go Train Station, Mcmaster University Hamilton Is 8.5Km Away Only. Must See! Fully Renovated, Gorgeous Raised Ranch Semi Backing On To Greenspace In Highly Sought After Palmer. 3 Bedroom 2 Bath 2 Car Garage Fully Finished Walk Out Basement. Ground Level With Walk Out And 3 Pce Bathroom For Income Potential. Hardwood Floors Throughout Living, Dining, Hallway And Staircase. Fully Fenced Backyard With 2 Sheds. Quiet Street Short Walk To Parks And Schools Reshingled(07) Garage Door Exterior Door(10) Furnace(07) Windows(07). Super Quiet Court Location. Semi Detached. Close To Highway And Main Road. Walk Out To Large, Fenced Pie- Shaped Yard. Large Deck With Finished Basement With A Bar And Rec Room And One Bed Room. Close To Schools, Rec Centers Access To Public Transit. House Comes With Warranty. Freshly Painted. Your Search Ends Here. You Just Want To Move In And Enjoy. You Want To Forget About Removing The Snow. You Want To Live Close To All Amenities Like Shopping, Schools, Public Transportation, Go-Station, And To Be Able To Quickly Access The Qew And Hwy 407 - Then This Is The Property For You. It Has Been Renovated With Laminate & Engineering Wood Flrs, Newer Appliances In A Private, Beautiful Setting. Open House: This Sat & Sun 2-4Pm. Attention Commuters! Walk To Go! Turn The Key & Move In! 3 Bed, 2.5 Bath, Lower Level Has Finished Rec Room & 3 Pc Bath. Kitchen Has New Counters, Back Splash, New Appliances. Some Newer Floors & Freshly Painted Throughout. Living Room With Fireplace & Walk Out To Private Backyard. Inside Entry To Garage From Front Hallway. Large Storage Closet On 2nd Floor. Good Sized Bedrooms. Master Bedroom Has Walk-In Closet. Great Opportunity To Own Freehold. Welcome To 2241 Manchester Drive, In Burlington's Desirable Brant Hills Neighbourhood. This 3 Bedroom Semi-Detached Home Offers Great Value. Updated Eat-In Kitchen Includes Stainless Steel Appliances And Gas Stove, Plus Lots Of Space For A Large Dining Table. Generous Sized Backyard Includes Interlock Patio And Hook Up For Gas Bbq. Finished Basement Has An Additional Full Bathroom And Is A Great Space For Entertaining. Large Beautiful Pool Size Lot, New Kitchen, Most Windows Are New 2018, New Paint, Refinished Hardwood Floor, 2 Minutes From Qew, Friendly Neighbourhood, Unspoiled Basement With Separate Entrance. Executive Town With High End Finishes In Small Escalete Complex. Main Level Features An Open Concept Area, Stunning Kitchen With Granite Counters, Island, And Peninsula With Breakfast Bar, Half Bath. The Living Has Coved Ceilings, Hardwood And Pot Light Upgraded Throughout, Fireplace And A Deck. The Top Floor Has 2 Master Suites, Laundry And The Lower Level Features A Multi-Use Room, Garage Access And Sliding Doors To The Back Porch. Excellent Location! Prime Location - Building Lot To Be Approx 50X200Ft. Close To Shopping, Rbg, Schools, Parks, The Lake And So Much More. Sizzling Hot Beautifully Finished From Tip To Toe, Renovated, Sparkling Clean, Immaculately Maintained, Designer Decor Throughout. Absolutely Move-In Condition. Outstanding Open Concept Main Floor Reno (2018), Newer Kitchen With Breakfast Bar, Stainless Steel Appliances, Gorgeous Cabinetry & Backsplash + Quartz Countertops, Pot Lighting, Gas Fireplace, Walkout To 20' X 8.5' Wood Deck. Huge Renovated Basement Rec Room With Pot Lights + (2018) 3 Piece Bathroom. This Beautiful 3 Bdrm 2 Bath Home Backs Onto Green-Space And Is Located In The Very Desirable Headon Forest Neighborhood. The Open Concept Floor Plan Is Both Modern & Spacious With Over 1900 Sq Ft Of Living Space! The Modern Kitchen Features Upgraded S/S Appliances W Plenty Of Cabinet Space. Large Lr /Dr. Sunken Family Room W/Walk Out To Large Backyard Oasis With In-Ground Pool, Pool House And Perennial Gardens. Barn Wood Doors On Closet/Pantry Main Floor. Here's Your Opportunity To Own A Huge Property In A Fantastic Location. This 3 Bed, 1 Bath Detach Bungalow Sits On A Quiet Crescent In A Very Desirable Mature Area Close To Schools, Parks, Walking Trails & The Burlington Bay. The Pool-Sized 65' X 120' Lot Includes A Private Fully Fenced Back Yard, A Well Manicured Garden & Lots Of Parking. Whether You're Looking For A Home To Settle Into & Enjoy Or One To Reno/Rebuild Into Your Dream Home, Perfect Location. Only 5 Minutes Walk To The Magnificent Lowville Park Cafe And Restaurant. Detached Bungalow Sits On A Large Lot, Fully Fenced With Breathtaking View Of The Escarpment And Vast Green Land. Tall Pine Trees Add To The Beauty Of The Backyard With A Fire Pit. Open Concept Living And Dining, Great For Entertaining Guests. Fully Renovated House For Small Family. Just Move In And Enjoy The Lifestyle Lowville Community Has To Offer. Only 5 Minutes Drive To Amenities. Absolutely Charming Home In Desirable South Burlington. Douglas Fir Hardwood. Sunroom Addition With Built In Bench And Cabinets. Basement Features Separate Entrance. Recent Updates Include: Roof (15'), Soffits, Facia, Eaves Troughs, Down Spouts, Leaf Guard, Basement Waterproofing And Garage Roof (18').